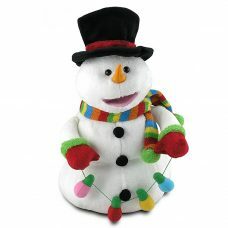 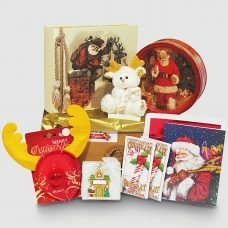 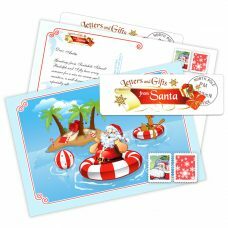 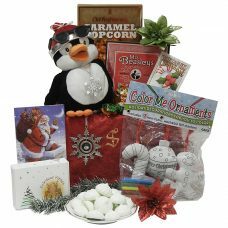 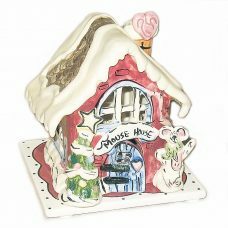 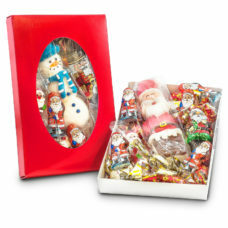 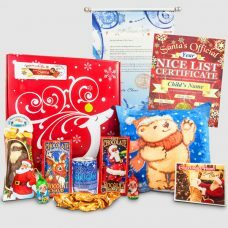 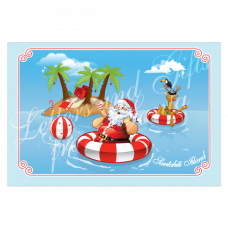 Family gift packages from Santa like the Santa in his study Puzzle and Sweets are a lovely choice when you wish to send one great gift for the whole family to enjoy. 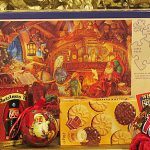 Young ones and adults can gather together around this family puzzle to have fun family time and some great tasty snacks to enjoy during the Holidays. 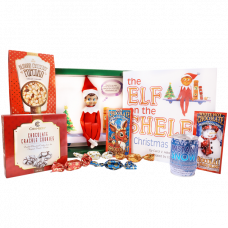 A great gift for the whole family to enjoy on the night before Christmas. 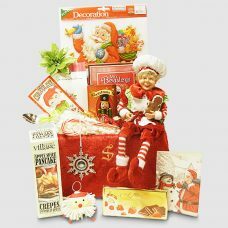 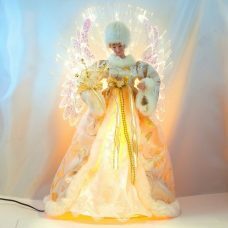 By the fireplace surrounded by his favorite items, toys, dolls, books, a big globe, a kaleidoscope and accompanied by and owl and a small deer Santa Claus is sitting in his study, relaxing in his chair and reading a letter from a sweet child. 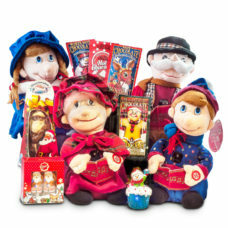 Let them enjoy the trill of putting this puzzle together and see how this whole warm and cozy picture comes to life. 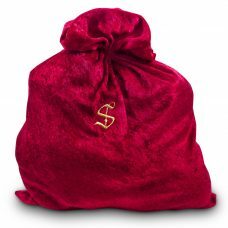 What else is in the magical bag? 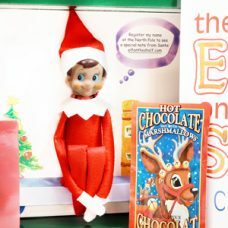 Variety of sweets may be: butter cookies, chocolate covered cookies, shortbread cookies, chocolate bars, candy, peanut butter crunch, cranberry tea, a selection of hot chocolates and marshmallows, just the way the elves like it. 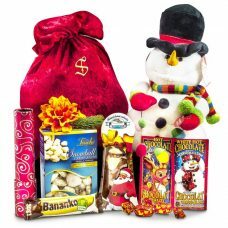 All the sweets arrive in a red velour bag that is made out of Santa’s own bag he carried last year. 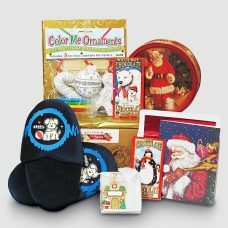 Each velour bag has been marked authentically with Santa’s monogram. 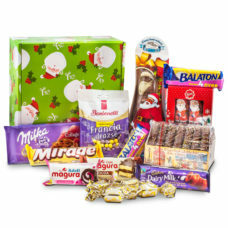 Please note: the variety of the sweets may change a bit, but the deliciousness will stay the same. 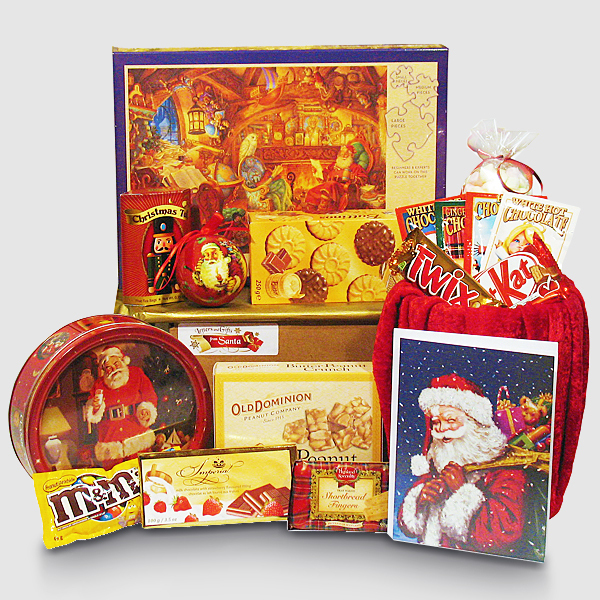 Santa in his study Puzzle and Sweets – Gift from Santa will arrive gift wrapped straight from North Pole! 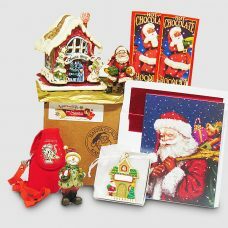 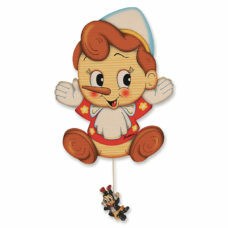 Take a journey back in time by traveling through our Magical Village of Santa Claus. 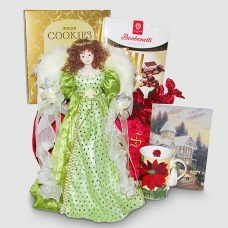 Imagine the distinctive scent of the Christmas tree glittering with gleaming ornaments and holiday lights. 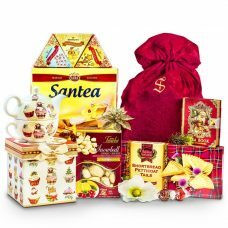 Enjoy the fresh aroma of the holiday spiced cookies and hot cocoa in the air, and the breathtaking anticipation of Santa’s arrival on Christmas Eve.